One year ago at this time, the weather was gorgeous. You all remember the warm, 80 and 90 degree weather we had in March and April – right? It took everything in our power for us to not plant too early in the field last year. This year, we are waiting on snow and a little mud! Happily, we have one high tunnel that is planted. It is full of red romaine, broccoli, and radishes. The tunnel gets very warm during the day when the sun is shining, but those 16 degree nights have been kind of tough on the little plants. Here’s Ryan tucking the little guys in. This post is what we call “preaching to the choir.” But here is a top ten list of why you should eat your vegetables. add color and texture to your plate. Nutritious in any form —fresh, frozen,canned, dried and 100%juice. Fruits and vegetables provide fiberthat helps fill you up and keeps your digestive system happy. Fruits and vegetables are naturally low in calories. Eating plenty of fruits and vegetables may help reduce the risk of many diseases, including heart disease, high blood pressure, and some cancers. Fruits and vegetables are rich in vitamins and minerals. Fruits and vegetables are available in an almost infinite variety. There’s always something new to try! Fruits and vegetables are nature’s treat and easy to grab for a snack. Some crunch, some squirt, some you peel, some you don’t, and some grow right in your own backyard! So what’s been happening at the farm this winter? Sometimes people think that we get to relax in the winter – and that’s kind of true because Ryan stops working 14+ hours each day. 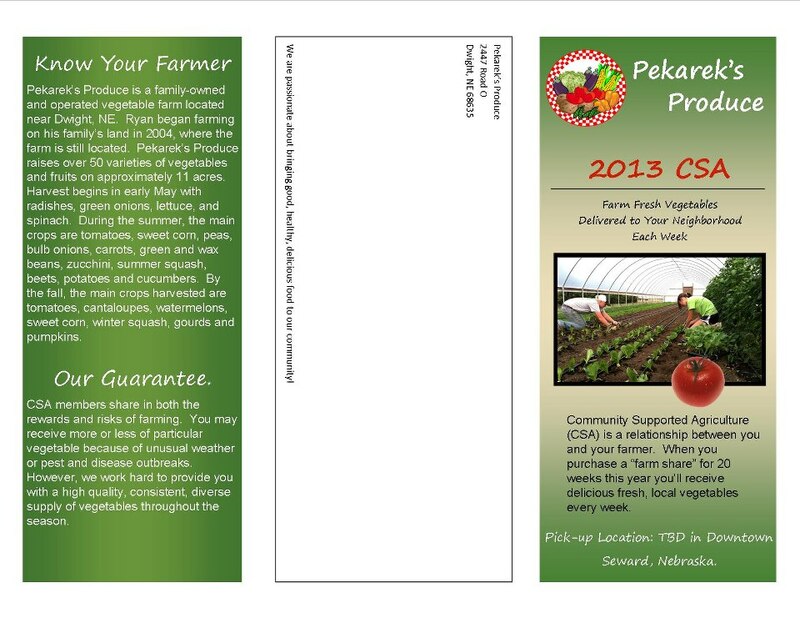 But don’t worry, we make sure to talk about growing vegetables each and every day, even in the winter. 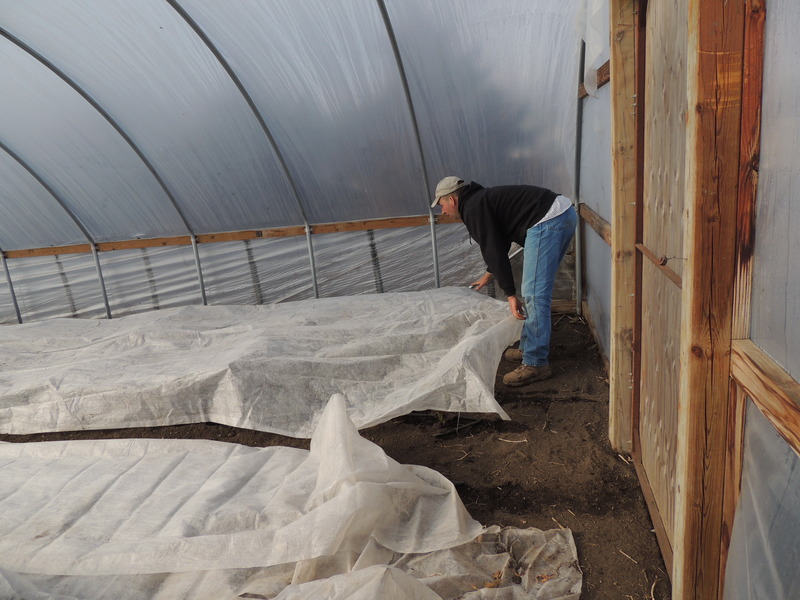 Our biggest project this winter has been putting up our 2nd high tunnel. 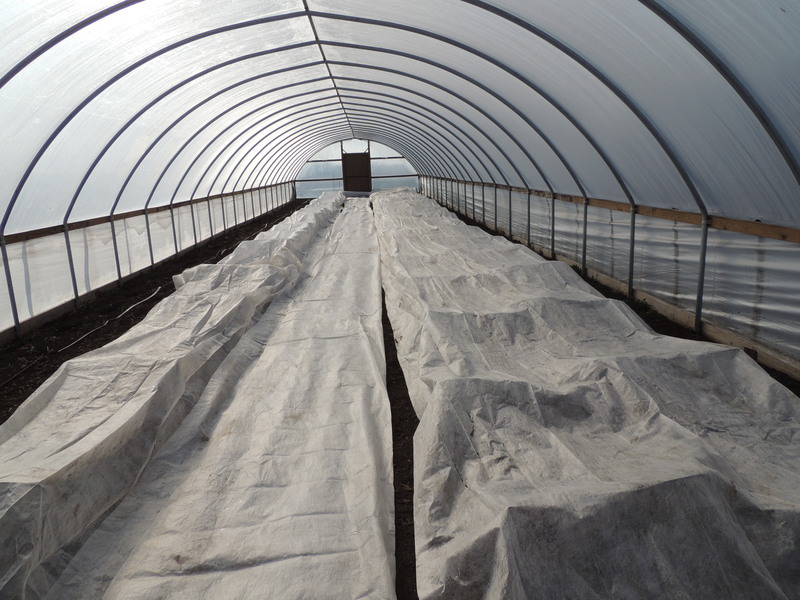 High tunnels are a simple, relatively inexpensive, and effective way of extending the season (both early and late), protecting crops from the effects of wind, rain, some insect and foliar disease pests. To this point, Ryan and I have put up everything ourselves. Often it has been snowing, then muddy, and windy, but in a couple of weeks we will have plants growing. We still need to put up the end walls and pull the plastic, so it should come together quickly. Switzerland and Japan in the 1960s. 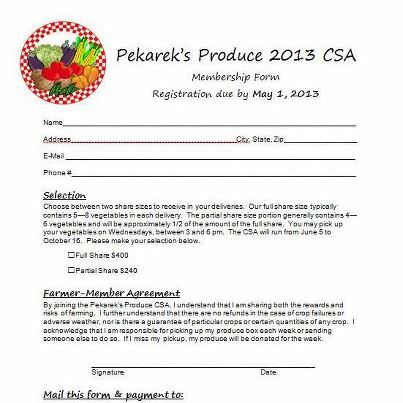 It operates on the committment of individuals who annually buy shares in advance of receiving produce. 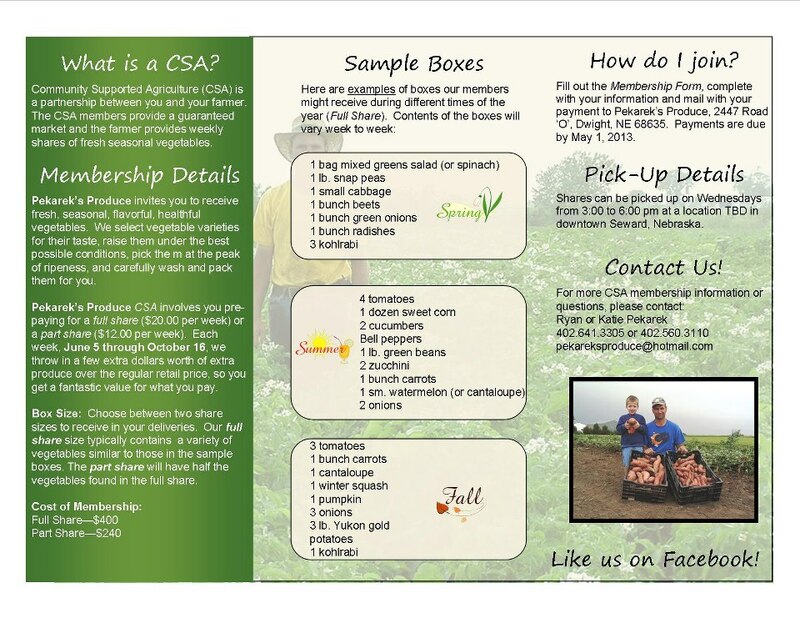 During the harvest season share holders get weekly deliveries of fresh vegetables.